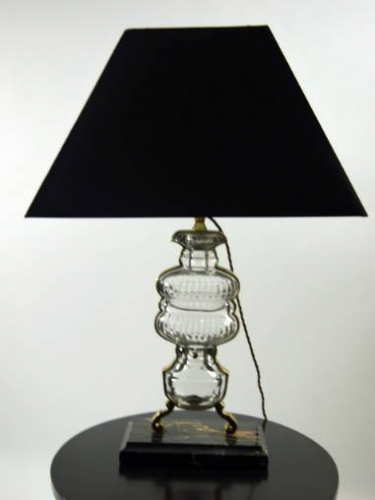 Stylish, French 1960s table lamp. Glass and gilt metal construction raised on a marble base. Rewired.